The Googleverse got a little rattle this week as the company began rolling out its mobile-friendly update. As one might imply from the name, this new tweak to the new Google Search algorithm boosts the rankings of sites that are designed for (or have responsive versions for) mobile devices. The mobile-friendly update also applies only to mobile searches, so if you’re using a desktop web browser, your results won’t be affected. So, relax — unless you’re a website developer with an unresponsive site. Google has also made it possible now for you to download a complete copy of your Web search history with the site. That is, all the searches you made, (good, bad or naughty), when you were logged in with your Google account for Gmail or another G-service. Remember, though, this is just a copy of your web-search history and doesn’t remove the original information from Google’s records. But you can go into your account’s search and browsing history and delete the information there. Google’s YouTube is also clearing out a little old history. According to a blog post on the YouTube house engineering blog, the company will be retiring its Data API v2. So, why should you care? 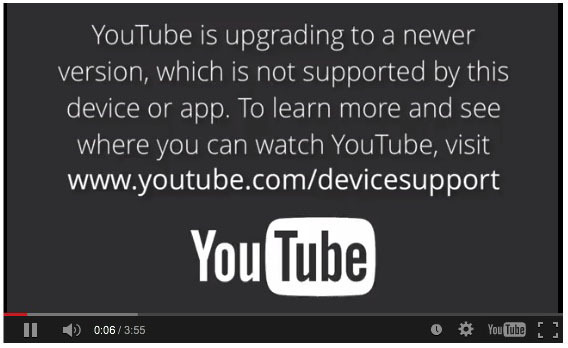 Here’s why: A help page on the YouTube site said “select devices” manufactured in 2012 or earlier will be affected and will no longer be able to use the YouTube app. This includes second-generation and earlier Apple TV boxes, Apple devices running iOS 6 or older, some Sony and Panasonic Internet-connected television sets and Blu-Ray players and hardware running older versions of Google TV. Third-generation Apple TV boxes can upgrade to the new version of the YouTube app. Smart TVs and game consoles left out in the YouTube cold may be able to use the site through their web browsers. Bummer if you have the three-old hardware, but this is ultimately a GoogTube decision. Twitter is also making some changes to its service. The company has added that previously announced feature that, when you turn it on in your account settings, lets anyone in the Twitterverse send you a direct message. At least this is optional and not on by default. Early reports from last fall claiming that Amazon would be launching a hotel-shopping service has proven true. 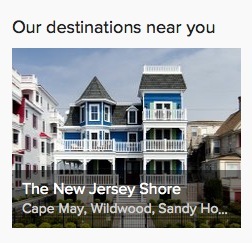 The new site is called Amazon Destinations and goes beyond the previous hotel deals offered by Amazon Local for regional deals near you. So far, your destination with Amazon Destinations is just limited to Los Angeles, New York and Seattle, and you need to get there by car or ground-based transport because it’s local. But it’s a start. Hewlett Packard is tossing out Snapfish after 10 years of ownership. The computer maker is cleaving itself into two companies, (one for enterprise, one for personal computers and printers) and is selling the Snapfish photo-sharing site to District Photo. Snapfish customers will continue to use HP printing services even after the sale, however. Many modders love the Cyanogen open-source operating system based on Google’s Android. Microsoft seems to love it enough to form a strategic partnership with the company. Microsoft services like Skype, OneDrive, Outlook, OneNote, Office and Bing will be integrated into future versions of the Cyanogen OS . Facebook has some tweaks of its own to its News Feed algorithm and says content posted directly by friends will show up higher than promotional posts or updates from liked brands and Pages. Well now. Apple’s recent Yosemite update 10.10.3, was supposed to fix some bugs and security holes but experts are saying that one known vulnerability was not fixed in the patch. The Rootpipe flaw, a potential backdoor in OS X that apparently dates back to 2011, is still present in 10.10.3. Here’s hoping the sequel to that update does the job. Security experts have also pointed out that about 1,500 iOS apps in Apple’s App Store have security vulnerabilities as well. And finally, last week’s new teaser trailer for Star Wars: The Force Awakens not only put a lump in the throat and a hope in the heart of many a Generation Xer, it also gave a bump to Disney’s stock price. Although the stock got a brief $2 billion dollar goose after the trailer’s debut, share prices dipped back into normal territory the next day. But The Force Awakens was not the only Star Wars news last week. At the Star Wars Celebration expo in California, Disney and Lucasfilm executives shared details for a new film Rogue One, which will be a standalone chapter in the new Star Wars Anthology series. Rogue One is set between the events of Episode III and IV and is supposed to tell the story of how the rebels stole the plans to the Death Star in the first place. The new film is said to be darker in tone than the films in the two trilogies, and is due out December 2016. 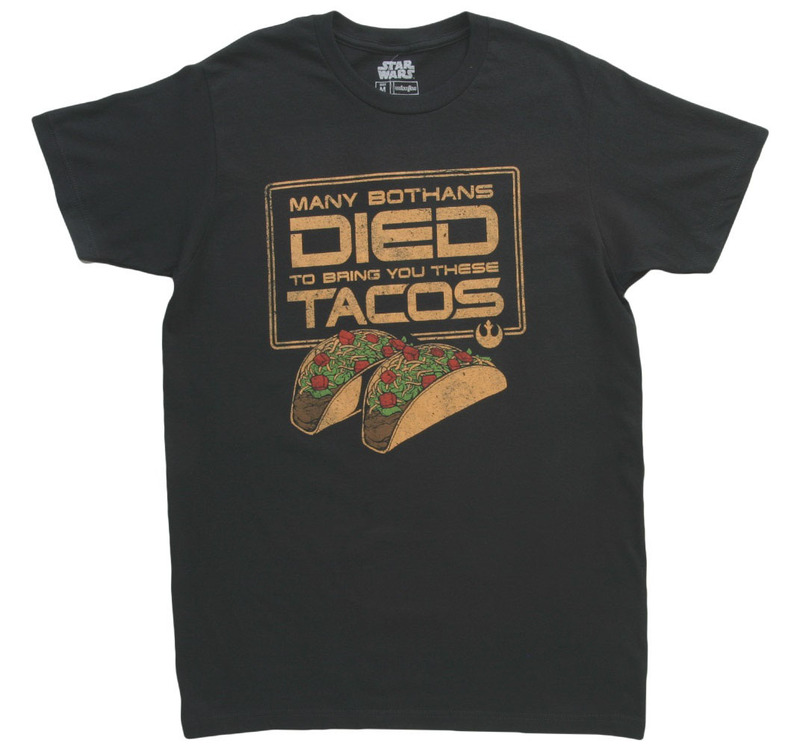 Let’s raise a glass to the Bothans for finally getting their story told. L’chaim, Bothans!